Nancy Gorman’s gift of makeup artistry will make you look and feel your best – you’ll wish she did your makeup every day! 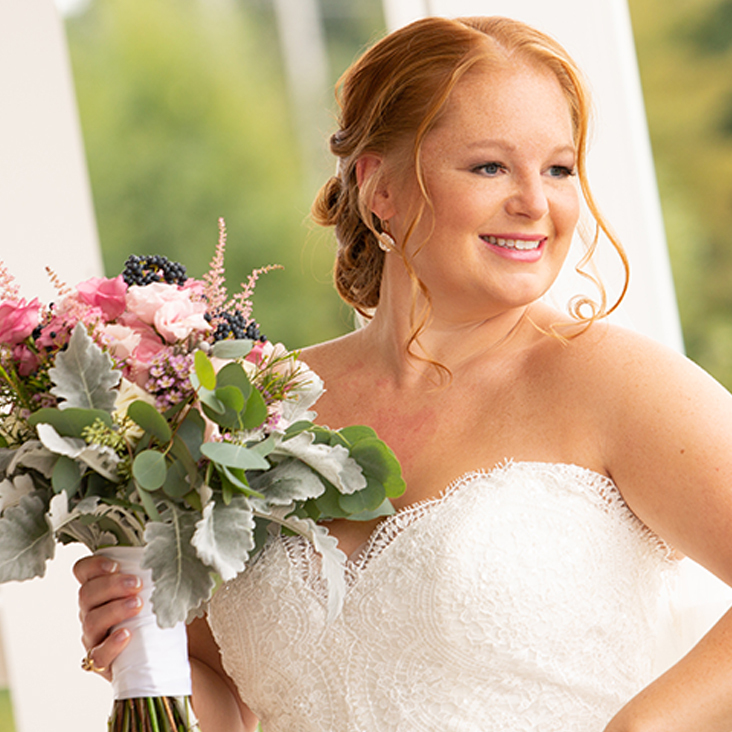 A talented makeup artist and beauty consult in the Newburyport area, Nancy has mastered the beauty spectrum of natural to glam and creates flawless looks for weddings, as well as bridal, headshot, boudoir, and engagement shoots. She also currently offers airbrush and traditional services, and expertly-crafted makeup lessons to put you at the top of your game. Her belief is that makeup should enhance natural beauty, and never hide your radiance – she’s especially great at what she does due to her ability to bring out the best in people. Subscribe to our Newsletter for tips and tricks! I absolutely loved working with Nancy!!! She was personable, professional and has a great sense of humor. It's a miracle she was able to wrangle all of our attendants, including my boisterous sisters 🙂 Initially, I was worried about finding a make-up artist who could work with various skin tones. Nancy immediately put my fears to rest and was able to apply beautiful make-up to our African-American, Dominican and Indian wedding attendants. She also made me look absolutely stunning! I'm still receiving compliments. Thank you so much for contributing to our very special day. 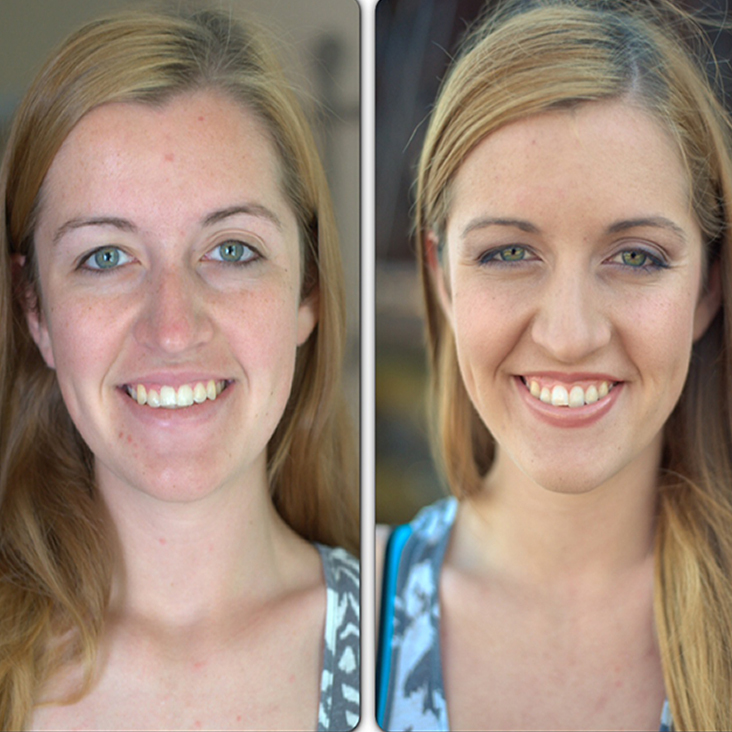 I was lucky to find Makeup By Nancy through my wedding planner who had worked with her many times before. Thankfully she was available on my day! Everything was easy with her. I easily found a time for my trial, which was at her home in the evening. She does your FULL makeup for the trial, which was really nice to see exactly how it would turn out on the actual day. She even met with me a second time just to try different eyelashes since I wasn't sure if I wanted bigger ones or not. On the day of she arrived on time and set up shop in a different room of the house away from the 'getting ready chaos'. This ended up being wonderful, because going in there gave me some relaxation and quiet time so as not to get too overwhelmed with everything else going on. She did my makeup, my moms, and my entire bridal party (five bridesmaids). Everything was on time, and often ahead of schedule with her. She made sure everyone was happy with their look (she even took me outside to check the shade of my airbrush, which I felt was too dark and she fixed it!). Nancy was just great to have around while getting ready, she assisted in keeping things calm and in order. I was very happy with her!! Nancy is amazing. She's reliable, affordable, professional, friendly and attentive to your needs. She not only does my makeup for all of my personal, professional shoots (I'm a photographer), but also for all of my boudoir clients (at my studio) that request to have their makeup professionally done. I love that she does airbrushing and always asks about sensitivities/allergies etc. She loves what she does and you can really tell. She's always advancing her techniques with new classes/education and expanding her makeup box with the latest professional products, makeup, and techniques. I can't say enough about Nancy. I've also referred her out to all of my 2014 brides. Go with Nancy- you won't be disappointed. Nancy made me look so beautiful on my wedding day! I was so lucky to find her! She listens to exactly what you want and makes it happen. She has all types of products and knows the best way to cover acne...which I had on my wedding day. Nancy is friendly and loves what she does. I would recommend her to everyone! Amazing day at my sons wedding thanks to Nancy DiClemente Gorman ! Considering it's been 28 years since I put on makeup she made me look natural and not like a "barbi doll" (which she would have gladly done had I wanted that look) all by listening to my request and then honoring that. Can't thank her enough for putting me at ease about the process! Hire this artist you will not be disappointed. She is gem. Nancy did makeup for myself, my sister and mother, and my husband’s sisters and mother the morning of our wedding. She helped me plan out how much time we would need for makeup, and she showed up right on time to the hotel with all her gear. It’s amazing that she can set up a makeup studio almost anywhere! Getting our makeup done by Nancy at the hotel was so much easier than doing it ourselves or going to a salon, and the results were amazing. I asked for a natural style that would look great in wedding photos, and that’s exactly what she delivered. Everyone was very happy with her work, we all got false lashes expertly applied by Nancy. I felt so glamorous on my wedding day and I’m so glad I hired Makeup by Nancy! I also did a trial session that was super fun, I highly recommend Nancy for event makeup!! Nancy is awesome! First of all, she is so nice, fun, and down to earth; her personality is exactly what you need the day of your wedding! Her prices are very reasonable, fake eyelashes are included in the price, and if you hire her (which you should!) the cost of the trial is subtracted from the cost of your wedding day makeup. She made everyone feel so comfortable, and she did an amazing job with everyone's makeup! Nancy is amazing! You can go ahead and stop looking for a makeup artist now. Nancy helped me from states away because I was a destination bride. I live in Florida and my wedding was in New Hampshire. I was unable to make it in person for a consultation but Nancy still made me feel like I had one. She e-mailed me many examples of make-up styles and even had several girls model the look I was going for. She had different models also try different lashes and was patient with me when I last minute decided on extensions. Nancy was always prompt in responding to me and even gave me advice about other vendors I had. She had several hair artists in mind but I had already chosen one. I now wish I went with who she recommended as my hair did not come out the way I wanted. I trust Nancy in every decision she makes. Unfortunately I was sick on the day of my wedding, I'm not sure if it was the bug going around, the several drinks I had the night before or just my nerves. After talking to most my bridal party I was still feeling sick. It was Nancy who calmed me down, made me feel better right before my wedding and did my makeup perfectly. Everyone in my wedding party and my family that had Nancy do their make up loved not only their results but her personality as well. She truly is the best. My mom (an FIT alumni) even stated that Nancy was the best makeup artist she has had. I don't normally write reviews but Nancy is that good. I know how stressful planning for a wedding is, especially from a distance but if you work with Nancy I guarantee you won't have to worry about your make-up. Nancy did a fantastic job for my wedding and I am so glad I found her!! I had gotten a trial done by another makeup artist prior to booking Nancy and I decided to rule out getting my makeup done altogether. I just didn't feel like myself. Then I ran across Nancy's website and she had the quote " Makeup shouldn't disguise you, it should enhance you." It put my feelings into words and I knew right away I had to have her do my makeup. Luckily, she had a cancellation and 2 months before my wedding she booked a trial with me! I loved how she listened to what I had to say and showed me examples of different brides to get ideas of what I wanted. On the day of my wedding, she was there bright and early to start makeup for 5 bridesmaids, my mother and myself. It was incredible how stunning everyone looked! Her bubbly personality calmed my nerves and made the whole morning a very enjoyable experience. I was very worried about wearing fake eyelashes for the first time, but she assured me that they would look and feel fine (they did!). She made sure to provide touch ups to bridesmaids right before we left for the ceremony, as well! She is so friendly, competent and loves what she does! I wouldn't choose anyone else! When I told our wedding coordinator, Beth Rolfe of Fetching Events, that I wanted a very natural look for our wedding she immediately suggested I reach out to Makeup by Nancy. Nancy has a way about her that is hard to put into words. I wear very little make up on a daily basis and my bridesmaids wear even less. I was pretty nervous about having a make-up artist glam me up. I could tell by her portfolio that Nancy specializes in the natural look. When I met Nancy I found her to have such a gentle way about which made me feel like I’d let her try anything. I even tried false eyelashes which was a really great decision. I didn’t feel the least bit uncomfortable in the makeup that Nancy applied and was very impressed that it stayed put all day. My bridesmaids were equally impressed and most importantly they were all comfortable with their makeup. Our husbands were all thrilled as well. Their jaws dropped when they saw how lovely their wives looked - none of them complained that we had too much makeup on. Nancy’s kindness and gentle nature is a real blessing as you’re getting ready for your wedding. She instills confidence, deflects stress, and of course made me feel beautiful! I wish everyone could see her work with excited or nervous flower girls. One niece was over the moon excited to sit in the makeup chair and have some lip gloss and blush. My other niece was curious, but unsure. Nancy made them both feel like princesses. I can’t thank her enough for her kindness and her talent. My best friend got married a few months before me and Nancy was her makeup artist. I wasn't even considering getting makeup done for my wedding but after I saw Nancy's work, I changed my mind! She's great at what she does, makes everyone feel super comfortable and she's super fun to be around! I would book Nancy for any event!